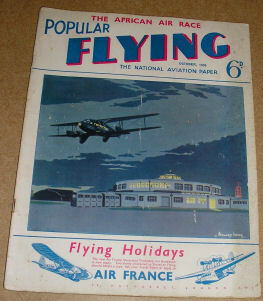 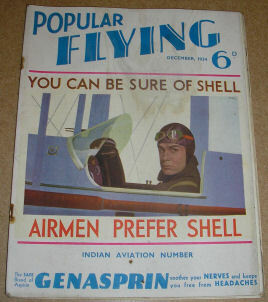 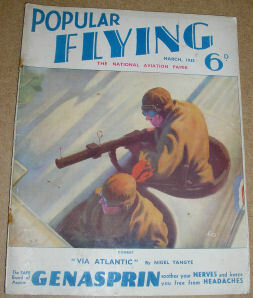 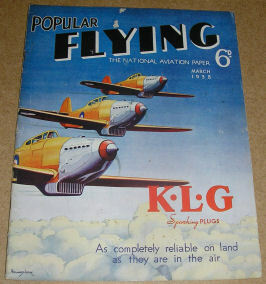 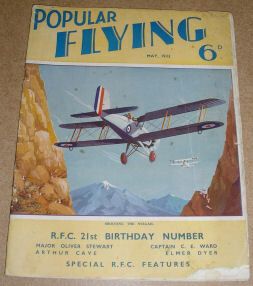 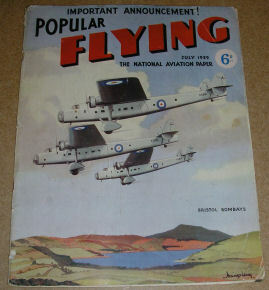 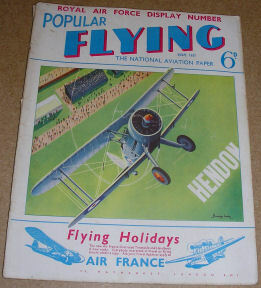 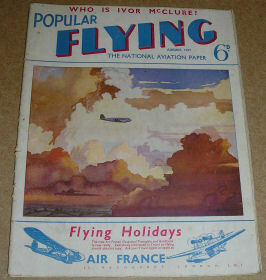 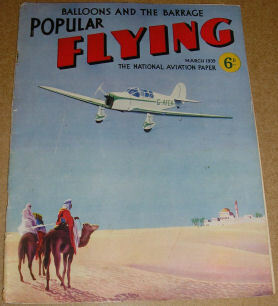 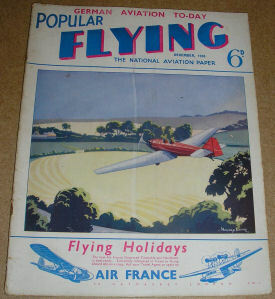 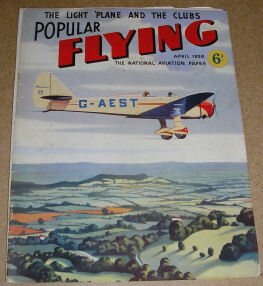 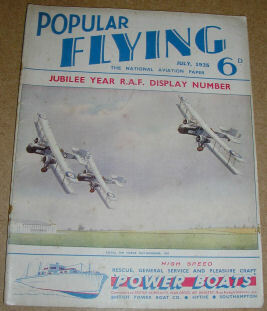 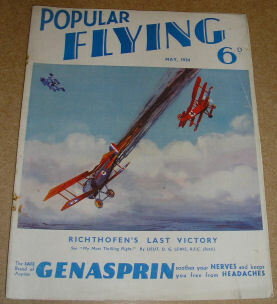 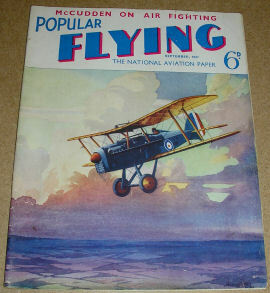 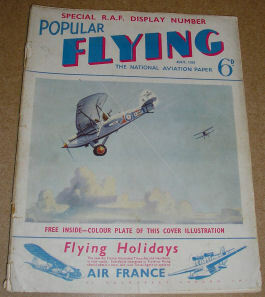 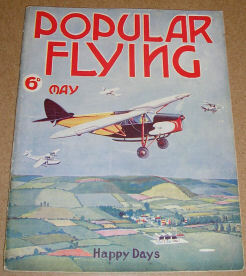 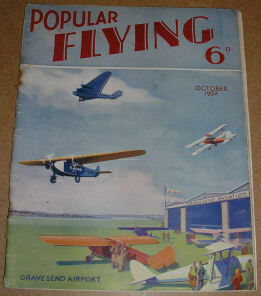 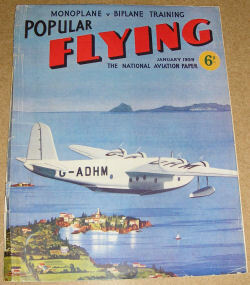 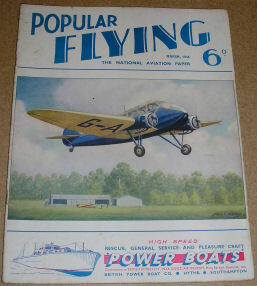 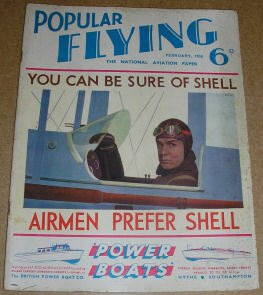 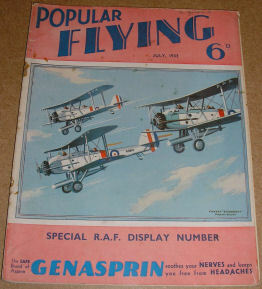 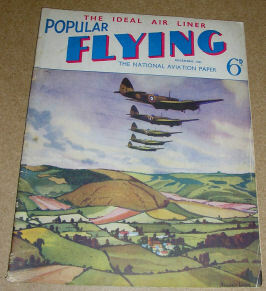 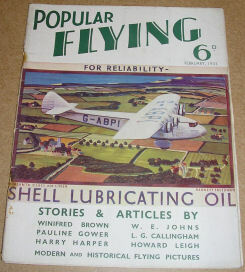 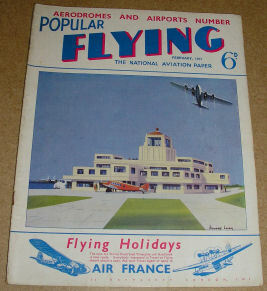 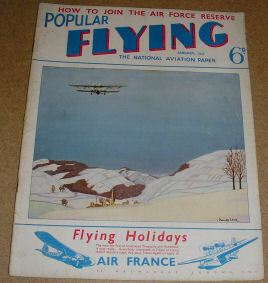 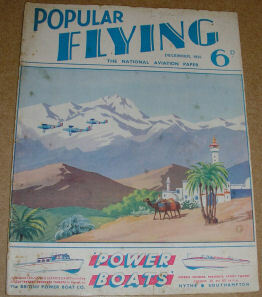 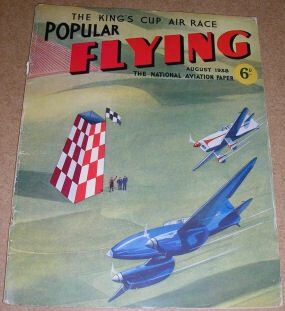 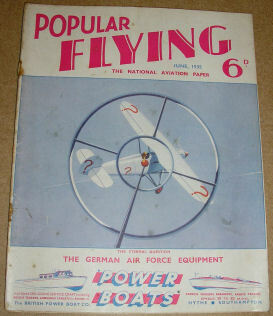 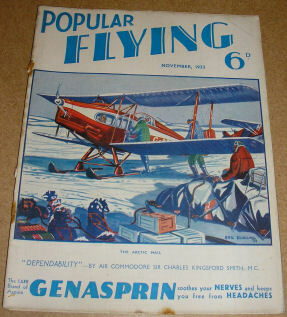 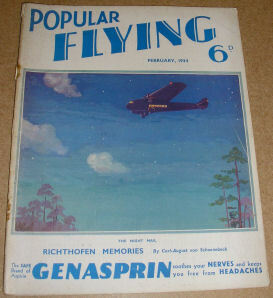 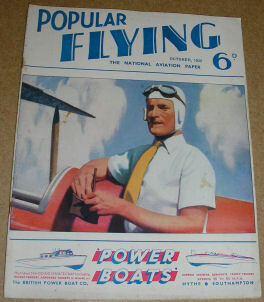 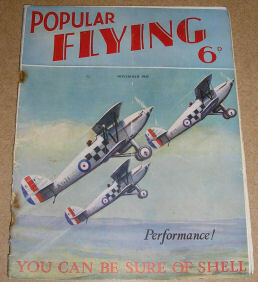 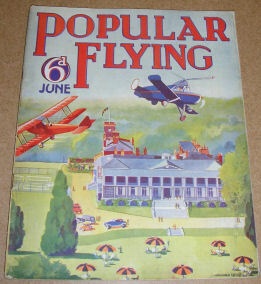 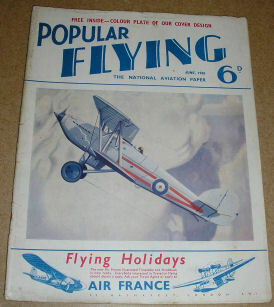 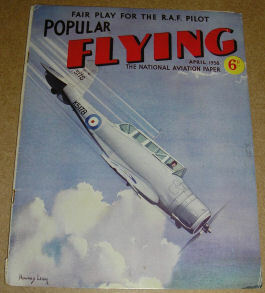 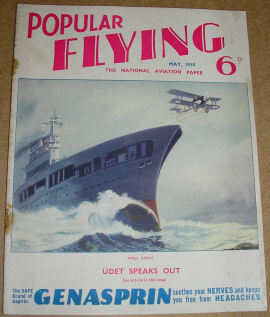 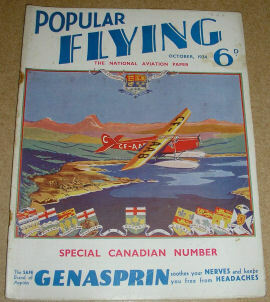 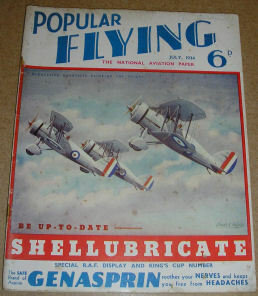 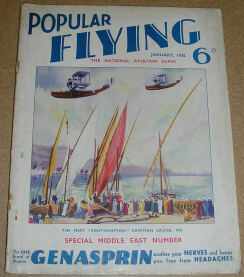 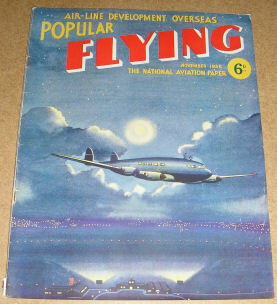 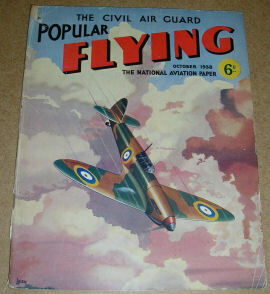 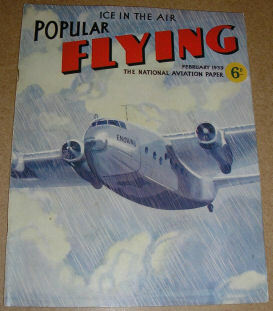 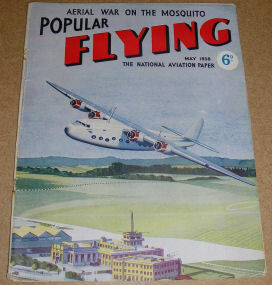 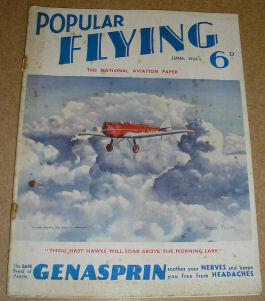 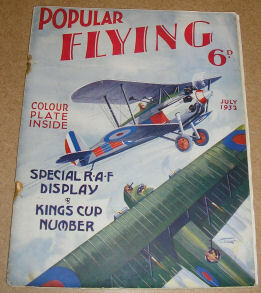 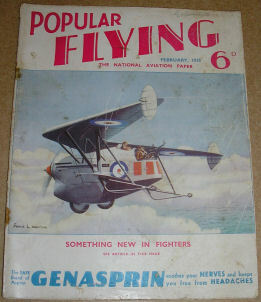 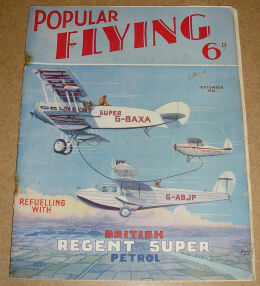 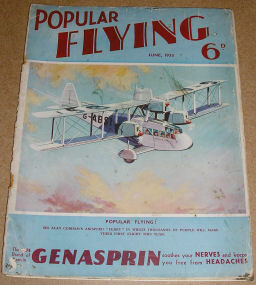 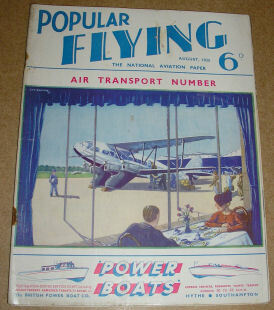 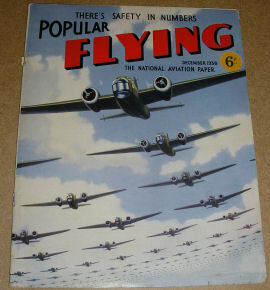 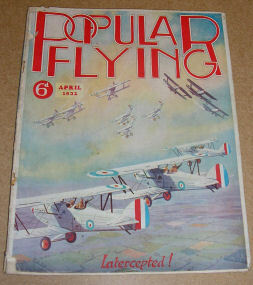 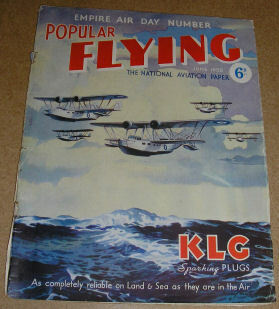 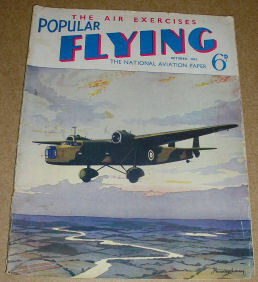 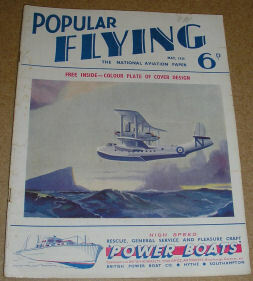 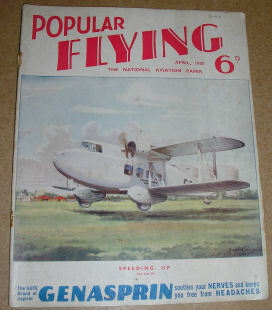 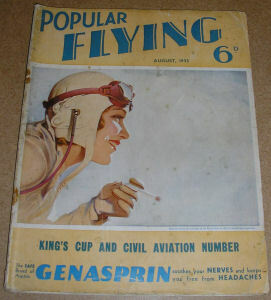 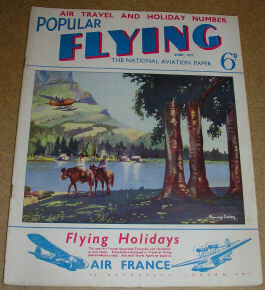 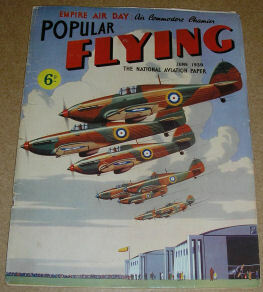 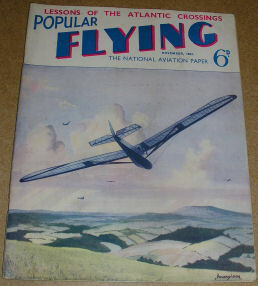 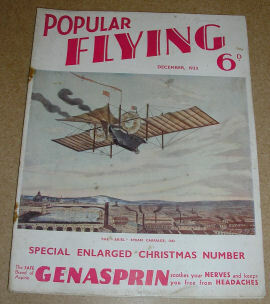 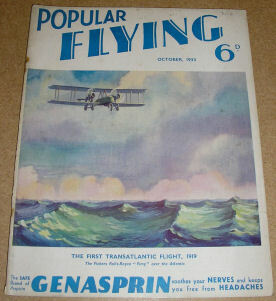 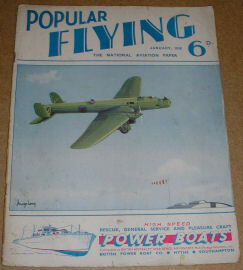 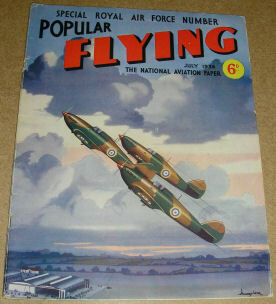 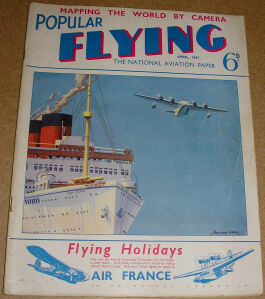 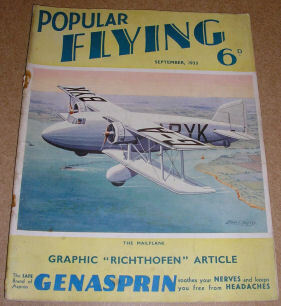 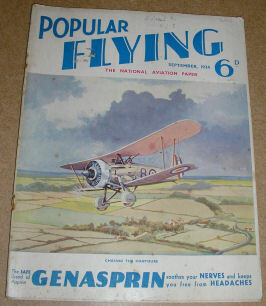 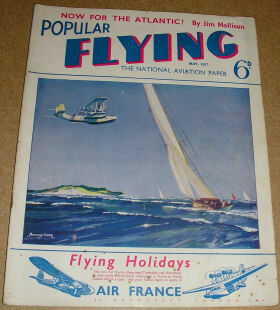 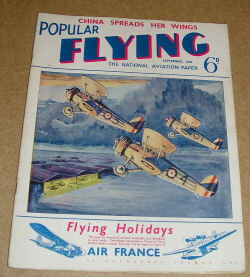 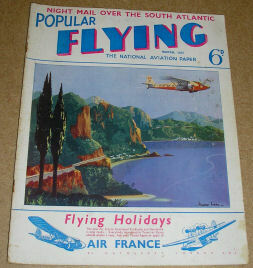 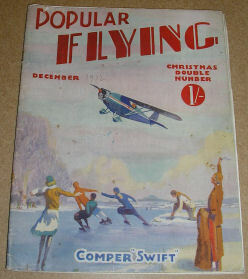 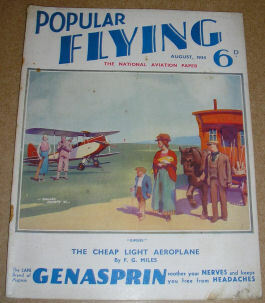 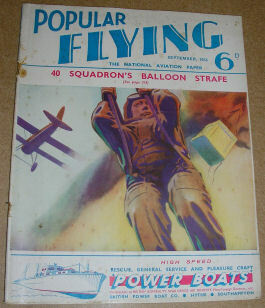 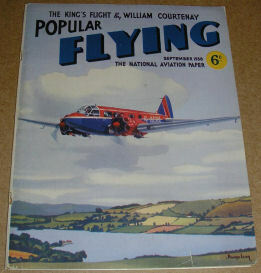 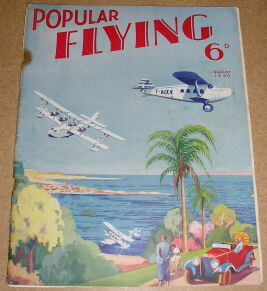 A tribute to Popular Flying Magazine, edited by W. E. Johns, that first published the “Biggles” stories in the 1930’s. 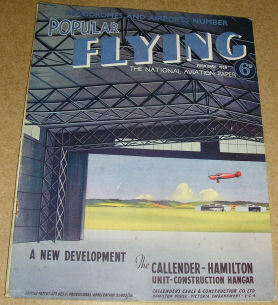 By John Hamilton Ltd, 32 Bloomsbury Street, London. 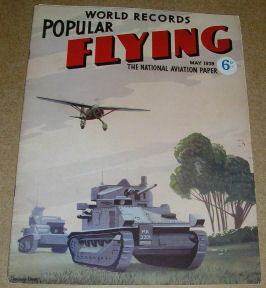 WC1. 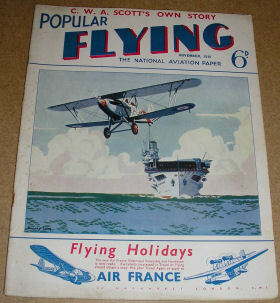 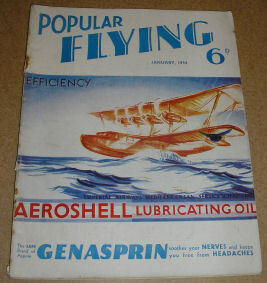 By 1933 it was selling 22,576 copies a month and by 1934 the circulation was 24,543 a month. 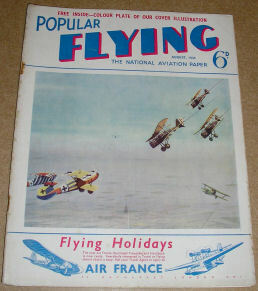 Within a few years circulation reached 32,667 copies a month. 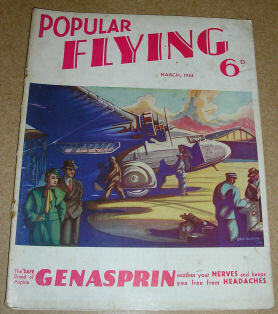 W. E. Johns resigned as editor in 1939 and wrote his last editorial in the May 1939 edition – only two more issues then followed. 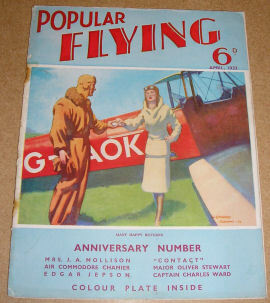 The copyright in the magazine is presumably held by the original companies although some 70 years have passed since publication. 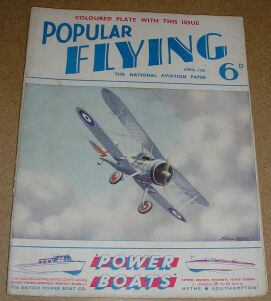 All pictures are taken from my own complete collection of Popular Flying Magazine and all cover artists are credited where known. 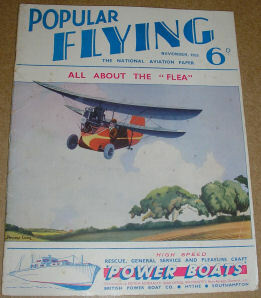 A few internal pictures have been used to illustrate the Biggles content and other interesting articles and these are deemed to be fair use. 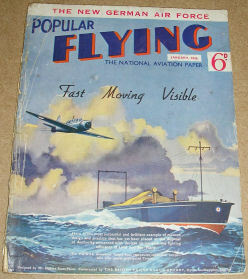 Flying Officer W.E. 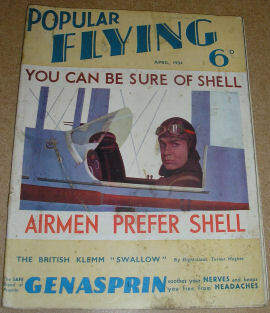 Johns was shot down and his gunner, Second Lieutenant Alfred E. Amey, was killed. 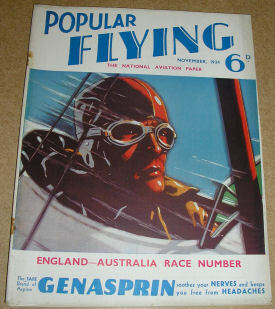 who was credited with the 7th of his eventual 9th victories. 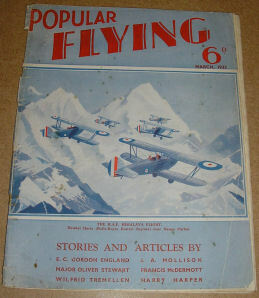 W. E. Johns crash landed near the village Alteckendorf only to find that his gunner was already dead. 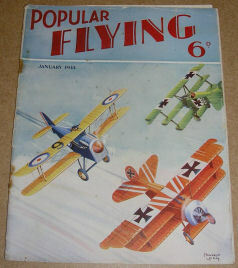 Johns himself was held prisoner by the Germans until the end of the war some two months later.